I thoroughly enjoy hand-making gifts at Christmas, especially photo gifts which add a personal touch. If you give a friend a photo of the two of you enjoying a special moment, it is not just a gift but it is a reminder of the happy memories that you shared. I often make my own Christmas cards with a quirky photo of the recipient. However this year I have simply ran out of time to get that creative on my own! With only one month to go until Christmas I decided to give photo gift website Bonus Print (www.bonusprint.co.uk) a try. 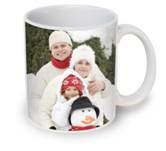 The gifts on offer include snow globes, mugs, mouse mats, personalised cards, jigsaws, key-rings, and glass chopping boards. My favourite is the glass chopping board/worktop saver. It is a really useful item, and I was able to choose a photo that matched with the colour scheme of my kitchen. This was followed closely by my second favourite, the snow globe. While it looked rather tacky on the website, upon arrival I was surprised that it is actually high quality and a really nice design, the photo is on both sides and there is plenty of snow to swish around. I wouldn’t keep it out as an ornament all year round, but I would recommend it as a Christmas decoration. My least favourite of the gifts had to be the mouse mat. While I ordered one that looked great (taken in full daylight high resolution) another (taken on my mobile phone, indoors) looked too dark with quite a poor picture quality. In all fairness I think I needed a better quality picture for the best results! All in all, while home made is often best, I can see myself ordering from here again, if not due to time constraints but simply because it has such a large range. While I would love to be able to, I cannot see myself hand crafting jigsaws and snow globes any time soon, so best to leave that to the professionals!